On another day, as promised to Lyna and Al, I joined them in order to practice their cooperation in a party and was currently looking at the quest board for a suitable quest. "I can't see any quest suitable for us." Lyna dazedly looked at the subjugation and drop item collection quests. "Lyn-chan, think disqualifying them without any basis is no good." "Hmm, how about this! 【Skeleton Subjugation】 quest!" When Al pointed out Lyna growled and pointed with her finger at a quest. I shuddered hearing those words and looked at where Lyna pointed. The location was Horia Cave. My face cramped up as I saw that on the bottom it said that the requirement was to defeat twenty skeletons. "Skeletons, huh. We have beaten them before together with Letia-san, so I think it's a good choi——"W-wait a second! "——What is it?" In panic I stopped Al from consenting. Puzzled by the fact I stopped them in a hurry, the two looked at my curiously, but despite reflexively reacting I could not find an appropriate reason for that. "Well, you see. Even though you beat before it together with Letia, this time we don't have her strength. And there are also some troublesome mobs such as Spectres spawning in there, considering we're training cooperation this time it might be better to lower the degree of difficulty a little, is what I thought..."
Once I gave them really forced reasons, I felt like the twins' gazes were piercing right through me. The truth is, that I don't want to tell the two that I'm bad with Horia Cave's ghosts and such. "You're right. I completely forgot about that. Thank you, Yun-san!" "Thank you for reminding us what we've forgotten." While I let out a dry laughter, I felt really uncomfortable receiving praises from the two. "But lowering the degree of difficulty, the quest most convenient for practising party cooperation would be... well, something like this?" With that said, Lyna pointed at a quest. I ended up interfering earlier because of my fear of skeletons, but I originally intended to respect the two's choice so I closed my mouth now and watched. "Isn't this one good? 【Rat Extermination】 quest. Grey Rats have invaded the town and continue to breed. We're supposed to exterminate them." "They're weak mobs we can beat even solo, seems good for practising party cooperation." With the quest decided, Lyna got into a good mood and smiled. "Looks like it's decided. Then let's take the quest and hear the detailed information from the Quest NPC." "And next we will consult roles in the party, right?" When I started talking about the next actions, Al had interjected saying what I wanted to say. I nodded and the three of us headed South-west of the First Town. There on a chair, sat a man holding a dirty scoop. "We are the players who accepted the 【Rat Extermination】 quest. Give us the detailed information!" "Lyn-chan, why are you acting high and mighty towards an NPC?" I smiled wryly in response to Al's retort, meanwhile, the quest proceeded. "Ohh, so you guys undertook the quest. Actually you see, rats slipped into the town and are multiplying which is a huge trouble. They're merely rats, but there's so many of them that I can't deal with them alone. Get rid of them all for me." "Leave it to us! So, where are they?! Inside a mansion or a warehouse? Or did they take over some field?!" Excited, Lyna asked for the quest's location. That's when the man rose from the seat heavily and then opened up a large iron lid that was behind him. "They slipped into this sewer here. Inside is dark and damp. There are grates to prevent people from entering, but rats can freely go in and out through the small gaps. Moreover, although I was entrusted with the sewers management I dropped the key to the grates when I was assaulted by rats. So please take care of it." The NPC said so and once again sat down on the log that he used as a chair. I looked at him and my face twitched. A dark, damp place. This pattern is no good, I thought. "About the roles in the party... hey, Yun-san. You're a little pale, are you okay?" "Eh?! Yeah, I'm fine. Perfectly fine..."
I can't show a pathetic side of myself to those two, I thought and to show dignity of someone older than them, I participated in their discussion about the party structure. "I'll have the tank role and I will restrain the enemy with my short spear, if there's a chance I will attack. Al is a fire mage so he's in the rearguard, so all that's left is how we incorporate the player with 【Bow】 Sense." "How much are you limiting your abilities, Yun-san?" In response to Al's question I confirmed my own Sense status and selected the Senses I could use for this practice. "Let's see. Basically, I'm limiting my means of attacking to only the bow." "Then you are sealing enchant's strengthening and weakening, earth magic and melee attacks, as well as item attacks?" Learning that I seal my various means of attacking, Lyna seemed to get dejected. Still, that's something that was decided right from the start. The two had to come up with what kind of role will I have, except for delivering bow attacks. "The Senses I plan to equip are 【Magic Bow】 【Sky Eyes】 【Sorcery】 【Swiftness】 【Crafter's Knowledge】 【Bodily Resistance】 【Spiritual Resistance】, those seven. For the remaining three, Ber told me her guild's 【Bow】 Sense owner's build so I will pick up new Senses to make my build as similar to that as possible." "Yun-san, but that will consume a lot of SP, won't it?" "I've got plenty of it so you don't have to worry." I said and acquired three new Senses. "What new Senses are you picking up, Yun-san?" "【Physical Attack Increase】, 【Vital Points Knowledge】 and 【Pre-Emptive Knowledge】. Simply put, they're Senses that increase damage and focus on critical damage." Although I used some of my original equipment and Senses, this was quite near a pure 【Bow】 Sense build. This was the very close to the build recommended to me by Myu, Taku and the others around the time I started playing OSO. While that, I showed my equipped Senses to Lyna and Al. "It kinda feels like I'll be unreliable like this, will it really be okay?" "Yun-san's equipment is much better than ours so there's no problem, but I think we need some Sense to detect traps and enemy surprise attacks." "Then I could use 【See-Through】, but I would have to switch something out." "True, it might be necessary, but we won't know unless we go and see for ourselves." Lyna's anxious proposal was refused by Al, she quietly peeked through the hole leading to the sewer. "...I'll get down first, next is Yun-san. Al goes down last." Lyna a bit seriously announced the order and went down the ladder. Feeling I went down about seven meters below the ground, I entered the dim sewer. Since we were underground, the moist and lukewarm air had wrapped around me, making the new winter equipment unnecessary. "It's dark like a dungeon and we can't see much, huh. Al, light please." Chanting the spell for a light source of the fire element, which was similar to the light element's 《Light》, Al illuminated the inside of the sewer. The sewers had arched ceilings and were made of brick, in the middle flowed the sewage and on the sides, there were footholds just a little above the sewage level. And I was able to get a full picture of the sewers by using my 【Sky Eyes】, but I couldn't find any of the propagating Grey Rats. "Ohh, so sewers are even narrower than dungeons. It might be difficult for me to manoeuvre with my weapon in here." 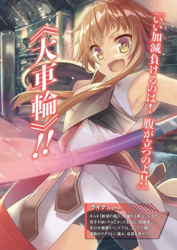 Lyna waved her short spear to the sides, up and down, and hit both the wall and the ceiling from a standing position. "Well, isn't it fine to think it as of a practice to overcome your weakness?" Seeing the situation inside the sewer, we consulted on the means of fighting. "I know, but how am I supposed to attack?" "Focus on thrusts, as well as parrying and bashing with the shield? Also, it might be best if you refrain from using Arts, Lyna." "Uhhh, I-I get it. It's so that I don't accidentally self-destruct in this small place, right?" Lyna nodded despite the fact she was gritting her teeth. Well, I understand that she can't fool around and use flashy attacks, but we need her to bear with it here. "So about the rearguard roles, what do you think Al and I should be doing?" "Umm, attack from a distance with fire magic and the bow, right?" "You need to devise something to make that work. In a place like this it's difficult to visually find enemy without auxiliary Senses. Also, bow has point attacks so it's difficult to aim unless the enemy is a big mob." Hearing the explanation so far, Al nodded convinced. "Then I'll release fire magic first and when it illuminates everything, Yun-san will shoot. How about that?" "Yep. Then let's move on like that for now." After confirming how will the front and the back move, we finally started to walk through the sewer. Still, since we were moving slowly, there was time to talk. "Haa, if we had Letia-san with us this would be real easy." "I actually think this would be difficult for Letia." "Ehh? But Letia-san has lots of tamed mobs and various moves to use. We were saved many times thanks to that." It seemed like based on the vague image of the always hungry elf who was always eating something, the twins imagined her not to have any weakness, but even Letia had things she was bad with. "Just like Lyna, she's most likely bad with narrow places. You need space for tamed mob summoning, so her strength is limited by the location." The large mob, Mutsuki the Ganesha and medium mobs such as Fuyu the Fairy Panther and Kisaragi the Runner Bug would be difficult to use here, and Mill Bird Natsu wouldn't be able to fly freely. In which case, the mobs Letia could use were the Will o' Wisp Natsu and the Yayoi the fairy. This would result in her forces being limited in narrow places. Lyna and Al seemed to have seen a similar situation, and looked convinced now. "So what kind of places are you bad with, Yun-san?" "You're being rude, Al. There's no way Yun-san who's highly versatile anywhere and any time would have a weakness. Also, enemy makes their appearance." Lyna's open trust in me was so heavy I was unable to respond in any way, meanwhile, we encountered enemy mobs. "Now, enemy has come! Let's quickly exterminate them!" Lyna stared at the darkness where the 《Torch》's light did not reach. There was a wriggling presence in there, countless red eyes glowing in the darkness have stared at us. "I'll go first! ──《Fire Shot》!" Al fired a single target attack spell that had higher power than the beginner 《Fireball》 spell. While staring at the light made by the high-velocity flame bullet I set up my bow. The flame landed, revealing the figures of several rats trying to avoid it. At the same time Lyna rushed out, I selected a certain bow-type Art for a pre-emptive attack. An arrow leaving a red tail behind itself had pierced the rat in the front. Normally, the attack would end there, but this time – five magic arrows of the same red colour have appeared from the red tail that was behind the first arrow and pierced other rat one after another. What I shot, was a new Art from the 【Magic Bow】 Sense. The bow-type Art 【Magic Bow Skill – Phantom Arrow】 in addition to hitting the enemy with the arrow itself, had created five magic arrows from the red tail the main arrow left behind and damaged the enemy. Just like it happened earlier, the main arrow hit the enemy and the five magic arrows each attack other enemies, but it was also possible to concentrate all the magic arrows on one enemy. According to that description it would come out as a powerful Art, but the magic arrows' power is dependant on INT stat and their hit rate and tracking accuracy varied greatly on DEX stat. Moreover, there was no chain bonus even if attacks were concentrated on a single enemy so it was not possible to increase the amount of damage that way. Lyna looked at me with resentment in her eyes after I used that Art to test it out. "...Yun-san, there's no point in cooperating if you beat them all alone!" "That's right. Even though Yun-san is matching her level with ours, you have many Arts you can use, you also have to take that into account." "Yun-san! Unless something really extraordinary happens, you are forbidden from using Arts!" Told so by Lyna, I further sealed my Arts for the sake of party cooperation practice. "Let's redo it! More rat have come!" The twins looked at the arrow that pierced in the ground when the rat swiftly avoided it, and then they looked at me with pity in their eyes, making me object. "Wait, it's because my equipment strength decreased that my accuracy dropped!" As a result of me re-configuring my Senses to match Lyna's and Al's level the accuracy of my bow has been reduced, making me realize again just how much the DEX stat affected the hit rate. By the way, what I had currently equipped was not the 【Black Maiden's Longbow】, but the unique weapon I received during the summer camp event - 【Wolf Commander's Longbow】. Because of my stat decrease from the change in the Sense build, the 【Black Maiden's Longbow】 showed some disadvantages such as a recoil damage caused by stat shortages. In order to avoid that I switched my weapon to the 【Wolf Commander's Longbow】. "Rats escaped from us. Normally mobs would have attacked back, I wonder if they're up to something?" Ignoring my excuse-rebuttal from earlier, Lyna stared at the back of the sewer where the rats escaped, looking for any signs of them. "I wonder as well. It kind feels like we're being led further in." "I guess there's no point thinking about it." Saying so, Lyna stepped forward. As we cautiously moved ahead, our steps loudly resounded on gravel on the ground. And when we proceeded to the right on the branching in the sewer, we have reached a dead-end where sewage flowed into a very narrow tunnel. Numerous rats were waiting for us there. "We're at a dead end this time! We won't let you run again! ──《Fire Shot》!" Continuing after Al who fired a flame bullet, I shot an arrow. This time, the rat wounded by the flame was pierced by the arrow and defeated. Although my attack power and hit rate decreased, being the second one to attack I beat the enemy. Regaining confidence, I prepared for another attack. However, rats have counter-attacked with overwhelming numbers. "Khh! There's so many of them, how troublesome!" While Lyna tried to finish off one rat with her short spear, four more tried to pass by her side. She slammed two rats with her leather shield and stopped them, but one has jumped away from Lyna and rushed towards us in the rearguard. "Al, he's going your way!" Al shot a ball of fire towards the rat coming towards us. The ball of fire hit the rat, who in order to extinguish the fire jumped into sewage. Following up, I shot an arrow and finished off that rat. We have dealt with the rat that slipped towards the rearguard, but Lyna was still surrounded by three rats and was having a hard time. "Oh c'mon! They're moving completely different from the ones in the open world!" "I'll finish one of them off, take care of the other two, Lyna!" Three rats were kicking off the walls to make irregular movements, toying with Lyna. Then, I predicted a rat would attack Lyna from behind and shot an arrow at it. 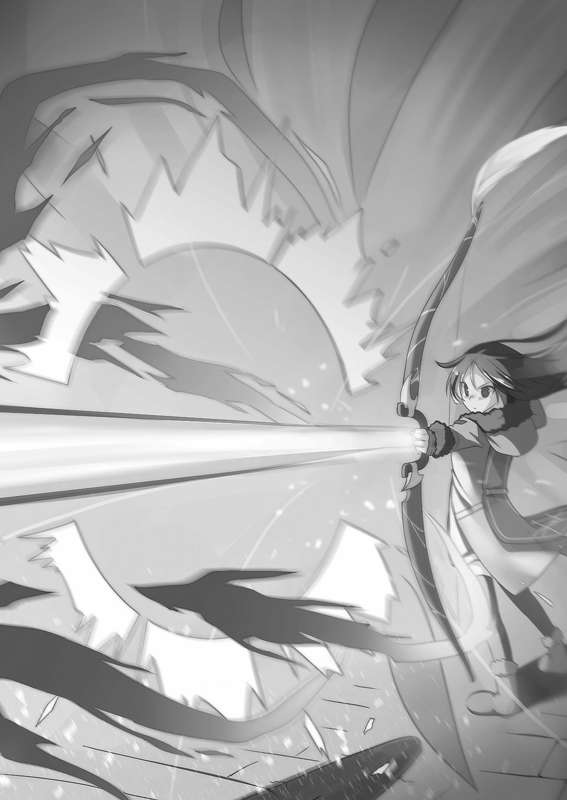 Since she was distracted by what was going on in front of her, Lyna noticed the attack from behind only in the last moment and has stopped moving, confused whether she should respond to the attack from in front or the back. The next moment, an arrow caught the rat that jumped at Lyna from behind and pierced his body, after which it hit the sewer's wall and turned into particles of light. That's when Lyna had cleared herself of confusion and focused on the two rats in the front. She pierced one of the rats with her short spear, Al burned down the other with a fireball. After confirming there was no other rats in the surroundings, Lyna heaved a long sigh and returned back to us in the rearguard. "I think our cooperation was so-so, what do you think?" "It didn't seem too bad to me? If it was just Lyn-chan and I, we would definitely take surprise attacks, and since you're having trouble holding enemy back it might be easier with more people." "I think there isn't anything I can say personally, I guess? Well, because my stats decreased I don't have enough power to beat them in one hit, which makes it a bit harsh on me." "Oh well. Let's explore this place some more." Although I left the party leader's role to Lyna, I was actually impressed to see that she can do it if she tries. Then, we moved forward in order to examine the dead end. When we did, on top of a pile of white gravel we found a quest item called 【Sewer Key (B)】. The fact that it was a B key meant there were multiple other keys as well. Maybe they're the type of key you need to open grates and proceed forward, I thought and when I turned around to where we came from – five rats jumped out of the sewer. "An enemy attack upon acquiring a key item, a classic! Now, let's go!" Al fired a flame bullet pre-emptively just like he did before, but this time the attack was avoided. "I can't stop them all! I can't fight so many of them at once y'know?!" Unlike the rats from before who split up between the vanguard and the rearguard, this time rats all pounced at Lyna. "Hey! I really can't defend this!" Using the shield strapped to her wrist she blocked attacks from two rats and was able to counter-attack against one more with her spear dealing damage, but she exposed her right arm wielding short spear and received damage from two attacking rats. "What's this? They barely deal any damage! In that case I can ignore defence and... eh, what?" Suddenly, Lyna slipped down on her knees and sat down powerlessly. From the rearguard I shot an arrow and finished off the rat Lyna had previously hit with her counter, also noticing the abnormality in Lyna. As the time passed her HP slowly decreased, and her limbs were trembling faintly. She lifted the shield and somehow managed to defend herself from attacks of two rats, but her HP continuously decreased due to chain damage she received. That's when I used the 【Sky Eyes】 targeting ability, and yelled after checking the rats and Lyna. "Lyna, use poison and paralysis antidotes! Al! These ones aren't Grey Rats! They're a different species called Paralytic-Poison Rats!" Although they looked similar in the dark sewer, they were a different type of mobs than the Grey Rats. Based on their name and the current situation, it could be inferred that they caused Poison and Paralysis bad status. "...I can't use potions because of 【Paralysis】." "Al! I'll go collect Lyna, hold them back in the meanwhile!" I lowered the bow and headed over to Lyna who kept receiving rats' attacks in the vanguard. Lyna lost half of her HP already and continued to receive slip damage from the bad status. I lent her a shoulder and while we retreated to where Al was we received attacks from the poison rats, but despite receiving poison bad status we haven't been paralysed and were able to successfully escape. "I'll be casting, Yun-san! 《Firewall》!" A wall of flames sprouted between us who were escaping and the rats in pursuit behind us, it had filled the sewer up to the ceiling. Burnt by flames, rats dived into sewage one after another so we couldn't damage them too much, but we acquired some time. I took out a potion and used it on Lyna, healing her up. "Here, a potion. Can you try again?" "Of course. This time I'll keep up." Having her HP and status recovered by me, at the same time Al's Firewall disappeared, Lyna jumped towards the rats who were on the other side of the wall. Thrusting her spear with the momentum of her movement she pierced the enemy and defeated him. "Now, I should attack as well." I nocked an arrow and aimed at a poison rat. If Al and I could finish off the remaining four poison rats the burden on Lyna would definitely lighten. "──《Bow Skill – Arrow Stitching──"
"I'll join in. 《Fire Shot──"
However, our skills were interrupted in the middle of casting. Suddenly I felt a pain in my right arm I used to pull the string of the bow and my attention was drawn to it, resulting in the Art misfiring as the arrow disappeared in the darkness of the sewer. A small and light thing bit into my arm with sharp front teeth, holding to my body with four limbs. I reflexively tried to shake it off and smashed the thing into the sewer's wall, but a moment later I felt the same kind of pain in my left leg. When I looked there, I saw the same type of thing biting my leg. I screamed without a sound and raised my leg to shake off the rat's skeleton along with the gravel under my feet. That's when I realized something. The pile of gravel I was standing on wasn't gravel, but small bones──most likely rat bones. And noticed, that the rat bones beneath my feet were connecting with each other and turning into enemies, started surrounding me and Al. By the time I noticed the rat bones beneath our feet were a trap it was all too late. Al and I were attacked by multiple rat bone mobs called Curserat Bones at the same time, and were bitten all over our bodies. Al had received the 【Curse】 bad status and having his skills sealed he lost the means to counteract and while he tried to fight back he was surrounded by bone rats who exhausted his HP completely. When that happened the bone rats fighting Al had gathered around me and I ended up being swarmed by so many of them that I was unable to move. The bone rats tackled each other, rubbed each against one another, and as their movements gave me goosebumps I fell the same way Al did. "Where are these mobs coming from?! And light disappeared too!" As I fell to the ground without any HP left I could hear Lyna's voice as she struggled for a while longer, but before long I heard the sound of a human-sized something fall and the only sound that remained was that of dry bones colliding. After a while that sound had disappeared and I selected "YES" from the menu allowing the usage of 【Revival Medicine】. "...It's pitch black here. Well, we relied on Al for light so I guess it's no wonder." Even in the pitch black darkness I crawled on the ground and found the twins by blindly groping, then without any hesitation used the 【Revival Medicine】. "Owww... we died huh. In the end I attacked desperately, but was beaten." "──《Torch》. Uuuh, they say you learn stuff upon death, but this time our mistakes really stand out." Lyna and Al quietly got up. While recovering their HP that was restored up to 50% with the 【Revival Medicine】, the two started reflecting on our mistakes. "First, let's think why didn't we notice the appearance of bone rats. Also, if the light disappears we end up fighting in complete darkness." "As for the bone rats, it's because we don't have anyone who has Senses for spotting traps and such. We were optimistic, but 【See-Through】 is necessary after all." "About light, it was because Al died. Lyna who has no Senses providing night vision has a lot of trouble battling in the darkness. We might need to prepare a lantern." I said and took out a lantern I used for searching dungeons and caves, then lit it. Together with Al's flame magic, we had secured two sources of light. For a while the three of us stared at the light of the flame, but then I turned around to the two again. "Um, I made a huge mistake in the rearguard, sorry!" "Huh?! But wasn't it unavoidable in that situation?" "Although we had our skills disabled, but if I used AoE bow-type Art when the first bone rat bit me we would be able to make a turnaround, but I failed to do that." Immediately after the first Art was interrupted I could use the 《Bow Skill – Gust of Wind》 to attack the surrounding bone rats, it would have dealt a decent amount of damage or even wiped them out. "But it was really strange how Yun-san was shaken. Usually you're really really composed." "Al. That's because of the difference in Sense levels and item quality, she doesn't mind using expensive consumables either." "But that makes me kinda relieved. I thought Yun-san is super amazing, but she's no different from us." I'm not a broken gamer like Myu, Taku or others. I'm a normal human who gets scared by ghosts and other stuff that appears in haunted houses. "Hm, eh? You were all right with normal rats, but were shaken by the bone rats, so it doesn't seem like you're bad with rats overall, right? Speaking of which, your complexion turned worse when we entered the sewers, Yun-san, can it be that you're bad with horror stuff?" "Ah, a bone rat behind you!" I reflexively turned around hearing Lyna's words, then sighed with relief when I saw nothing in there. Lyna stared at me intently and Al smiled wryly. "Uuuh, fine! You're right! I'm bad with horror stuff, grotesque and ghosts!" "I see, so Yun-san's weakness are horrors, hee." Al stared at Lyna with appallment as she grinned broadly and seemed to be plotting something. It was the same expression Myu made when she wondered when she should surprise someone else, so I decided to warn Lyna ahead of time. "Just you try scaring me for no reason... and you know what'll happen, right?" But instead, I smiled meaningfully at Lyna and stared at her. When I did, she paled and shook her head energetically. I didn't know what she imagined, but if I put it this way, the person herself would think of a few things she wouldn't want have done to her. When we calmed down after a while, we stood up heavily and resumed the search in the sewers. Basing on the failure earlier, we decided to adjust our combat styles. I replaced the 《Sky Eyes》 Sense with the 《See-Through》 as we decided to focus on vigilance against surprise attacks. Moreover, the amount of Arts I could use had reduced a little and it was decided that Al and I will be in the vanguard. "──《Bow Skill – Gust of Wind》!" At the same time we started combat, both of us attacked with area of effect skills at the same time. 《Bow Skill – Gust of Wind》 generated a wind pressure that spread from the arrow and damaged the enemy, and since there was no escape from it in the narrow closed sewer I could deliver damage with it even without 《Sky Eyes》 allowing me to see the enemy in the darkness. Al's defensive magic 《Firewall》 deliver damage to rats who assaulted us without any plan and shaved their numbers by a fair percentage. Lyna rushed towards the rats damaged by our opening attacks and finished them off one after another. However, instead of attacking with a short spear, she knocked down the rats with her leather shield. Normally Lyna used the spear to beat enemy with as few moves as possible, but since rats received damage from our opening attacks, it was faster to just finish them off with the shield smash. "Ahaha! I was bothered by how low level my 【Shield】 Sense is, but you can totally beat enemies with it!" Al restrained Lyna who seemed like she would rush further out of our range. Since she was rampaging grandly, about twenty percent of the poison rats and bone rats have escaped into the darkness. "In the end, we defeated plenty of rats, but quite a bit escaped." The mobs we met during the search of this sewer were common Grey Rats, Paralytic-Poison Rats and the bony Curserat Skeletons. Every time we met multiple rats and received surprise attacks from sides, whenever we decreased their numbers through combat, the rats withdrew. Repeating that we continued to search the sewers. In the middle of search we ended up stumbling upon grates door and whenever we didn't have a key matching the lock, we had to search all over the sewer to find a fitting key. As a result, we have completely memorized the structure of the sewers. "The quest's clear condition is to exterminate all rats, including those who ran away." "And all the rats that ran away are ahead of here, right." We proceeded for a while without encountering any rats and arrived at the sewer's dead end where we found a collapsed brick wall with an opening leading to a narrow cave. Considering a rat who seemed to be a sentry, had rushed into the back of the cave upon seeing us, this must have been the end of the dungeon. "So this is the end point huh... let's go." Lyna moved to the front and started walking inside the cave. After we proceeded through a narrow hole, the cavity had spread widely open. And something had approached us from the darkness, making loud footsteps. Along with Al's mutter, a huge rat appeared. It was a mutant rat who had long front teeth protruding upwards, sharp claws, grey fur no different from that of Grey Rat's, three vertical sets of red eyes and three tails which moved freely like whips. The mutant rat of a cow's size had sucked a grey rat inside his mouth, then held a paralysis poison rat and a bone rat in his hands to stuff them into his mouth. Then, as if to protect their boss, countless small rats surrounded him. That's when we received a message through the menu saying that the 【Rat Extermination】's condition of exterminating all rats was fulfilled, and the condition had changed to "defeat the Mutant Badrat". "So we just have to beat this guy to be done, right! HAAaaa──"
Lyna poised her short spear as if to deliver a final attack and charged at the Mutant Rat. That line is a death flag, I thought, but I still provided cover fire to support Lyna. Al too assisted in defeating the three types of rats standing in Lyna's way. In order to decrease the burden on the twins, I used AoE attacks on the groups of rats. However, the inside of the cave was wide and there was place to run, so more than half of the rats have split to the sides, escaping our attacks. "I know. But rats aren't the only ones who can move freely in here! ──《Large Swing》!" Lyna held the short spear in a longest grip possible and spinning on her heel she swung her spear. The swung short spear released wind pressure in all directions which shot down the incoming rats in mid-air. Small rats had their bodies torn up by the spearhead as it skimmed them, or were smacked down by the handle. The momentum of the rats' attack has decreased as Lyna intercepted the rats coming from the sides by using an area of effect Art. Together with Al, we haven't missed that chance and attacked rats on the left side by using our AoE Arts. This time as not to allow them escape we sandwiched them with attacks from left and right, wiping them out all at once. With the rats on the left side defeated, Lyna alone dove into the group of rats on the right, and from the centre of the group she blew away rats one after another by swinging her spear around. "Ahahaha, poison and paralysis are nothing as long as they aren't applied!" "Oh, I feel like I saw a game like this before, with a warrior fighting this way." Giving off a feel of an action game's character smashing armies of weaklings Lyna had defeated the rats on the right side. The only remaining ones were only the minions the Mutant Badrats was feasting on. The mutant rat who hasn't joined the battle until his comrades were defeated, has finally started to move. "Al, match me! ──《Rapid Fire Bow – Second Form》!" Al's and my attacks passed above Lyna's head and aimed for the mutant rat's eyes. Out of two of my arrows aiming for the eyes on the mutant rat's head, one was shot down by the freely-moving tail, but the remaining arrow pierced into the middle left eye. Thanks to the effect of the 【Vital Points Knowledge】 and 【Pre-Emptive Knowledge】 Senses, I succeeded in cutting down the mutant rat's HP by 10% with one blow. "I'll take the left sidee!" Lyna attempted to slip to the left side where the mutant rat had an eye crushed, but was restrained by the mutant rat's swift movement which didn't suit his size. The mutant rat slapped away Lyna's protruded short spear with his tail and when her posture broke, he swung his sharp claws at her. "?!! Half of his vision should be crushed, how can he still react to what's on the left side?!" "Enemy has six eyes total so crushing one eye won't steal his vision away. Anyway, Lyn-chan, check your status!" "Eh, no way?! This is bad, real bad, I got a bad status on me!" Lyna who took distance from the mutant rat had calmed herself down, took out antidotes for 【Poison】 and 【Curse】 bad statuses and used them. "The boss has characteristics of all rats in the sewers, doesn't he. The troublesome one is the 【Paralysis】." "But that doesn't change what we have to do!" Al continued to steadily deal damage by firing flame bullets at regular basis. I also continued to shoot arrows without end. Using her short spear and the shield, Lyna devoted herself to defence as she activated the 【Shield】-type Art that increased the amount of hate she gathered by the amount of damage the rearguard had dealt. Because of that, the mutant rat was unable to move away from Lyna and could only keep attacking her with claws on his both hands, Lyna parried those attacks with her leather shield. However, as the mutant rat's HP decreased to 50%, there was a change in his movements. "He's withdrawing? Is he gonna charge... kyaah?!" After leaping backwards, the mutant rat got on his fours and lowered his body. Although Lyna had braced herself with the shield protruded in front of her, guarding against the charge, she received an unexpected attack. Three long tails of the mutant rat have crept towards Lyna's feet exploiting her blind spot as she raised her shield, and wrapped around her ankle. Just like that, Lyna was pulled by the tails and knocked down, then two tails started whipping her body. "Al! Don't stop attacking! ──《Bow Skill – Arrow Stitching》!" I drew my longbow to the limit and shot an arrow, but the mutant rat avoided that and jumped at restrained Lyna at the same time. Al continued to fire a barrage of flame bullets at the mutant rat, but the mutant rat bit into Lyna's neck and protruded her forward to use her as a shield. When Lyna's HP was depleted, a flame bullet landed on the mutant rat's back and damaged him. Then, the rat slowly turned around from Lyna and towards us. Until now Lyna was standing in the mutant rat's way as not to let him reach the rearguard, but now naturally the boss' target changed to us. "Oh come on, how many times am I supposed to die in one day, pisses me off. ──《Large Swing》!" Lyna swiftly stood up behind the mutant rat's back and aiming for the base of the boss' tails she used the rotation-attack Art. Having the three tails torn to pieces, the mutant rat turned around towards Lyna who had a furious expression. Lyna made a proud smile, but her composure ended with that. "Hehen. Now you can't do the same th... whoops, wait, I still haven't healed myself up!" I have given Lyna a 【Revival Medicine】 in case she happened to die, she used it and her HP recovered to 40% of her total HP. With his tails chopped up and Lyna gathering mutant rat's hate once more, the boss swung his claws at her again. "Lyn-chan! Keep his attention like that!" "Wait, no way no can do! I mean, his attack power seems to be increasing!" She let go of the short spear in a hurry and concentrated on defending herself with the leather shield. Raising the leather shield she gulped down a potion, trying to endure somehow but the onslaught of attacking coming from the mutant rat was abnormal, Lyna was forced to harden her defence. "Enemy has 30% HP remaining, huh. His characteristic is that the more his HP decreases the more his attack power increases, eh. Truly, a cornered rat will bite the cat, like they say." "Yun-san this is no time to be impressed!" With no time to rest, Lyna consumed the potions she had at hand. While feeling it's quite unusual to see a player consume potions one after another like that, I winked to Al standing next to me. "We can't go and allow the enemy's attack power increase, so let's beat him all at once." "Understood. I'll go with maximum firepower." Al and I selected the attacks we could use and unleashed them at the mutant rat who had 30% HP remaining. At the same time Al poked the ground with the tip of his staff a pillar of flames rose up from the ground and rushed at the mutant rat who was turned with his back to us. The mutant rat repeatedly attacking Lyna had turned around towards the pillar of fire that emitted a conspicuously strong light, but he reacted too late and his whole body was enveloped in flames. Receiving the blast flame with her shield, Lyna took distance from the mutant rat who was in flames. As for me, I aimed at the mutant rat's shadow in the flames and used the Art that I have restricted myself from using. "──《Magic Bow Skill – Phantom Arrow》"
A faint red light condensed on the longbow, as I drew the string and accumulated power the intensity of the light increased, when the light had reached its maximum I released the arrow. The red arrow flew straight and pierced the mutant rat struggling in flames, damaging him. But the damage didn't end with just that arrow, the red tail connecting the arrow and the longbow has split apart and after changing into five magic arrows – assaulted the mutant rat. The magic arrows approaching in a curve have damaged the boss one after another, and at the point four magic arrows pierced him, the mutant rat's HP has decreased down to zero. The last magic arrow had nowhere to go, so it hit the cave's wall behind the mutant rat. Then, the body of the mutant rat had fallen dramatically to the floor of the cave, turned into particles of light along with the magic arrows that pierced him and disappeared. "In the middle of the fight I received 【Paralysis】 and 【Curse】 and couldn't move or even use defensive Arts so I thought it's all over for me." Smiling wryly I took out a potion and passed it to Lyna. Meanwhile, coming from where the boss fell down Al approached us with a treasure chest. "Yun-san, Lyn-chan, the boss dropped a treasure chest!" "Extra reward, isn't it. But I don't have any strength left to rejoice." "Well, there's no enemies left any more, let's check it after we're out on the surface." As the twins nodded in response to my words, we left the cave and returned to the sewers. From there, we aimed towards the surface. Thanks to going back and forth in search for the keys, we had grasped the sewers' structure and were able to proceed towards the surface through the shortest route possible. "Ohhh! You came back safely! So, a new species was born from the rats breeding in the sewer, huh?!" When we returned to report the quest, the Quest NPC responded a bit exaggeratedly. ──The quest 【Rat Extermination】 has been completed. Along with the message, each of us received 10kG and two Quest Chips. "The reward is pretty weak. Just by using several 【Revival Medicines】 we're in the red." "Lyn-chan, the one in the red is Yun-san, not us." "I don't really mind. It's something I did 'cause I wanted to." "Yun-san, you're so handsome! Though you're a pretty girl!" Lyna tried to joke in a good mood, but it only caused me some complex feelings. "W-well, I might be in red after just the quest reward but we still haven't checked what's inside the treasure chest, right?" "True. Maybe we'll have a comeback from what's inside!" She opened the treasure chest with high expectations and checked what's inside. "The item is... accessories, huh. A choker, a ring, and... ugh, how tasteless." What Lyna took out were a leather choker with a pentagram tag on it, a silver ring that increased magic stats and an accessory imitating rats' bones. A bracelet reminiscent of a rib and a ring imitating a rats' skull were connected by a chain that was modelled after a spine, this accessory totally exhausted the meaning of "creepy". I was bad with horror and creepy stuff, but I was interested in the accessory's stats. Just like its appearance suggested, it was a cursed equipment. At the same time, it was unique equipment. "Al? What do we do about this accessory?" "Ugh, the design's horrible. Hmm, the effect doesn't look too bad, but I don't intend on rolling for such tasteless equipment." Lyna's and Al's evaluation of it was that it was so-so, but to me it was cursed equipment I would like by all means – acquire. The additional effect 【Cornered Rat Attack】 increased the attack power when you fell below a certain amount of HP. HP Recovery Disabled prevented recovery from items, skills as well as natural recovery. Well, as long as one adjusts to the lack of natural HP recovery over time and doesn't go amiss, this accessory had no disadvantages. "And Yun-san... hey, why are your eyes sparkling so much? You want it?" "Honestly speaking, I really do." When I said that, the two looked at me with surprise. "This one is worth enough to compensate the usage of 【Revival Medicine】. Moreover, it's unique equipment." My 【Substitute Gem's Ring】 and 【Faerie Ring】 also were equipment that had no durability, accessories that couldn't break or be destroyed was valued very highly. An accessory I acquired as a prize from the 【Demonfolk Resort】's arena had similar effect and no disadvantage to it, but in exchange the percentage of attack increase was low compared to this 【Cornered Rat's Cursed Brace】. "Then Yun-san should have it. I feel like I will be cursed as well if I equipped something this creepy." "Also, Yun-san is the one who's in the red after this quest so she should receive it." The two said so, so I received the 【Cornered Rat's Cursed Brace】. This time I acquired new Senses and a rare cursed equipment, it was quite fruitful adventure. And in the end, I asked the two. "So, how was the party this time? Was it any helpful as a reference for partying with that 【Bow】 Sense user?" ""We're glad to have seen an unexpected side to Yun-san."" "No, that's not what I'm asking about, heck, just forget about that." The twins laughed seeing me make a sour expression. Despite the fact they were split between boke and tsukkomi roles, only at times like these the two exerted such nonverbal understanding, making me appalled. "It's just a joke. Well, since Yun-san's means of support were sealed it felt a little lacking, but I think I grasped the feel of it." "Also, normally Yun-san matches how we play, but we now understood that to cooperate well, you need consult with each other and also need time." The two made nice expressions and it seemed like they grasped onto something during this quest. "I'd lie if I said I'm not anxious, but I think we should meet that kid from Ber-san's guild after all!" "If we find something we would like to consult on, we will come again." The two left after saying that, I've seen them off with a smile. "I guess I needn't worry with how they are now." I muttered to myself after they disappeared and started walking towards the 【Atelier】. I haven't finished reading the chapter but I'm crying that Yun finally picked up Physical Attack Increase T_T. I thought this day would never come. Also, I hope she can raise her resistances and equip those OP curse rings nonchalantly... yeah, will probably never happen. When did Yun's revival medicine recover 50% (half) of a person's HP? Last I checked, her revival medicine recovered 10% HP at most, but it was still the most effective revival medicine compared to what other craftsmen made. When did she improve the recipe? No clue. Maybe author's goof. Maybe since they are lower level then the potion revive a them at a higher percentage then it does for Yun? IIRC it was her lowest quality potions that she deemed failures that restored 10% HP. She spent a whole chapter back in volume 4/5 trying to make her revival medicine better by getting the process just right, and presumably she's made some more progress since then as her sense levels have increased. No she made the incomplete revival medicine that revives with only 1% by pumping up the item she managed to get 10% revival med instead after much trial and error. She is the only person that can make a med with 10% at that time giving taku a uniq advantage in the pvp tourny. 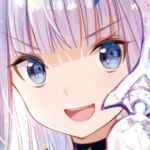 Thanks so much krytyk your hard work TL this amazing LN. btw, when yun is offline do you refer as he or she? "Lyn-chan, I don't think disqualifying them without any basis is no good." "Lyn-chan, I think disqualifying them without any basis is no good." "Lyn-chan, I don't think disqualifying them without any basis is good." And now I don't wanna be sexist so I'll stop. Yun is a delicate boi. Considering how Yun went in with weaker equipment and subsequently ended up lowering her DEX, does that mean she managed to raise her base DEX from combat? I'm asking based off of what was said in volume 1 chapter 5. Well actually she says in volume 1 that she gets a lot of of DEX from her crafting senses, while her DEX does drop due to the change in equipment, because she had to replace some of her crafting senses due to picking up the new ones she couldn't use black maidens longbow which also has a DEX bonus. Also the bow sense and corresponding senses probably also go right a slight DEX boost considering bow requires good DEX, so I guess if so combat would increase her DEX as well. (but that's me reading too much into it). Seeing as the author takes ideas from games, I feel the lv'ing system of skills is like a old RPG lv'ing of classes. In that game every lv up increased your stats. What stats increased more depended on the class. Mage would raise MP more, Thief speed etc. Now this is only a theory based of that games lv'ing system kinda matching how I see increasing your senses. Ok so let's say each basic weapon sense gives 2 bonus stat increases at +1 per lv. Each sense gives bonus increase based on what is needed for that sense. Sword attack power and def power. Hawk eyes would be +1 per lv but sky eyes would be +2 per lv. Where as a branched sense like the weapon senses long bow or magic bow would have a increased stat boost per lv higher than the normal weapon sense. Longbow for example would be +1 attack power and +2 dex per lv. Plus if a players general starting stats also increased every SP earned it would explain why potions after a certain amount of SP become less efficient. In this chapter Yun basically takes 5 lv 1 senses which means a drastic drop in stats. This means she can't use her main bow due to having too low dex. This means she has to use the weaker summer camp bow, which doesn't have any where near as good stats or boosts (though could in the future) compared to her usual bow. This means she is lowering her stats and using a weaker weapon. Of course she is going to be drastically weak. All the time while playing differently to how she usually does. It's like turning around to a COD or Battlefield player and telling them to do Resi 4 with just a pistol. It's a completely different play style than what their used to playing. Something they should be able to do without too much difficulty. Their both shooters and they have the skill to do it on paper. But in reality it's soo different. ..., we have reached a dead-end where sewage flowed into very narrow tunnel. ..., we have reached a dead-end where sewage flowed into a very narrow tunnel. Unlike the rats from before who split up between the vanguard and the rearguard, this time all rats pounced at Lyna. ..., but she exposed her right arm wielding short spear and attacked by two rats she received damage. ..., but she exposed her right arm wielding the short spear and, attacked by two rats, she received damage. ..., but she exposed her right arm wielding the short spear and received damage by two attacking rats. They're a different species called Paralitic-Poison Rats!" They're a different species called Paralytic-Poison Rats!" "Al! I'll go collect Lyna, hold them back meanwhile!" Thrusting her spear with the momentum of her movement she pierced on enemy and defeated him. Al and I were attacked by multiple rat bone mobs called Curserat Bones at the same time, and bit all over our bodies. Al and I were attacked by multiple rat bone mobs called Curserat Bones at the same time, and we were bitten all over our bodies. The mutant rat who hasn't joined the battle until his comrades were defeated, and has finally started to move. ..., I succeeded in cutting down the mutant rat's HP by 10% by with one blow. I feel like would be cursed as well if I equipped something this creepy." I feel like I would be cursed as well if I equipped something this creepy." I feel like I will be cursed as well if I equipped something this creepy." "Also, since Yun-san is the one who's in the red after this quest so she should receive it." 1.1A metal frame for holding fuel in a fireplace or furnace. 1A framework of parallel or crossed bars, typically preventing access through an opening while permitting communication or ventilation. Optics A set of equally spaced parallel wires, or a surface ruled with equally spaced parallel lines, used to produce spectra by diffraction. Well, didn't s/he respond like that in the Horia Cave as well? Is there a reason why Lyna keeps saying "mouses" as if they were computer input devices instead of "mice" as the animals they are? If it's for cutesy, I'd suggest "mouseys". The magic arrows approaching in a curve have damaged the boss one after another, and at the point four magic arrows pierced him, the mutant rat's HP has went down to zero. The magic arrows approaching in a curve have damaged the boss one after another, and at the point four magic arrows pierced him, the mutant rat's HP has gone down to zero. The magic arrows approaching in a curve have damaged the boss one after another, and at the point four magic arrows pierced him, the mutant rat's HP went down to zero. The magic arrows approaching in a curve have damaged the boss one after another, and at the point four magic arrows pierced him, the mutant rat's HP reached [perhaps all the way down to] zero. I didn't even realize I used "mouse" anywhere. Yun didn't have the Bow sense equipped, only the Magic Bow sense... so how was s/he able to use the Bow Skills Arrow Stitching and Gust of Wind? It's been explained early in the novel that derived Senses grant access to skill from Senses they were derived from. Yeah, the only reason Yun uses the other senses after s/he gets the derived senses is for the stat boosts and stuff like that. Slowly, she's accumulating fighting sense. Then, from behind Lyna I predicted the movement of a rat and shot an arrow. Then, I predicted a rat would attack Lyna from behind and shot an arrow. Ah, that one. Honestly, I have no clue how did that happen :3. The second one is correct. Thanks. Now that she has them, there's honestly no reason NOT to get their levels up...even if it's slow. However, the problem with that is Yun's sense build is pretty well set already, so there's not much of an opportunity for the other senses to make their way in. The one I could see her REALLY using in a normal situation is the Physical Attack Increase, though...as she's got other methods for the other two (or at least one). She gets the accuracy that Vital Points Knowledge grants her from all her crafting skills making her DEX stat absurdly high...and the pre-emptive attack success + damage bonus isn't going to be all that useful to her over her other skills when she tends to go for things she can do solo anyway. Well, you have to remember that Yun isn't really a dedicated Archer class. She's a Ranger, complete with bits of earth magic (probably going to evolve into plant magic eventually), herbalism, animal companions and scouting abilities. The two have completely different playstyles from each other. And, really? How much does Yun need Vital Points Knowledge when she has the derived Cooking Skill that reveals weak points? Early on, Physical Attack Up mentioned that it increased the bow's range, while Dexterity was the one that increased accuracy. Does Physical Attack Increase even boost the damage of the bow at all, or just distance? Wouldn't Yun benefit more from Dexterity increases from a Crafting Sense? Well, Physical Attack Increase will be useful for some crafting, since we're getting into hammering more, so its not completely wasted, but still. How useful are these new Senses for Yun really? The physical attack sense will help his crafting. In book one he seriously considered taking it then to make ingots until he realized enchant would let him do the same thing. Now that he's moved up in materials he will need his MP for the furnace not blowing it on enchants. Yeah, that's another thing. He can get the weakness identifiers from the Cooking sense's Ingredients Knowledge ability. As for Physical Attack Increase and damage...you can also think of the "increased range" as "increasing the damage" as well, as it means that "more force has been put into the arrow" from a logical standpoint. That said, my guess is that it's both damage AND range. Yun likely gets far more benefit range-wise from Hawk/Sky Eyes, though...as people were shocked by the range s/he was able to accomplish with the sense build s/he has. That said, the Physical Attack Increase mentioning that Arthur made is something I hadn't even considered until I saw that. Now s/he will be able to get that passive boost AS WELL AS the enchant boost. I'm sure it'll make her crafting more versatile on more than just the Engraving front, as that strength can also be used for certain parts of Mixing, and other such things. I hope s/he doesn't just throw them all away (i.e. leave them to rot), and at least makes use of the Physical Attack Increase. Thanks for your hardwork, Krytyk-san! On a side note, the next bow user would be the usual dps/crit build, I wonder if Yun will make him get alchemy? The free arrow thing is pretty darn convenient. She might suggest it, and it wouldn't be a bad suggestion at all...though it's giving up one of the secrets of her sense build, I doubt she actually cares about that. She might also mention how she used synthesis to make arrows from stones, sticks, and crow feathers (either via the 2 step method with a 2 circle synthesis kit, or straight up with the 3 circle one)...but I can definitely see her at least mentioning the use of Alchemy to combine the arrows together, since that's a pretty important note for a bow user. I wanna hear Yun too but which seiyuu would be the best person to voice Yun? Can't wait to see the other Arts that come from it, as well. It's monies. With enough monies you could make a gargantuan game that has literally everything. But no one is going to invest in such a thing. At least not anytime in the near future, sadly. That depends on how you define game companies. Computer games are limited by both hardware and software issues that involve money as Krytyk mentioned. On the other hand, tabletop RPG, or their PBEM counterparts have several game companies with game systems at least this flexible. At heart, I'm a tabletop RPG gamer; so I see the game described in OSO more in those terms. It seems similar to the game rules I used to love playing. I've actually been hand writing that system, for months now. It was honestly inspired by this, but is partly invested in a few other ideas I wanted to encapsulate from other sources. It's called "Eidolon’s Oasis Online RP", and the manual currently is still a growing document that already would form a decent size book if printed (and that's without graphics or otherwise pretty pictures). However, I sorta slowed down on the manual, due to hearing that none of my contacts are interested in any tabletop system (even an online "table") existing in an MMO or otherwise virtual world. They all say that at that point, might as well just play an MMO instead. I really like the system myself at least though. Well, if you base it on existing MMOs (OSO doesn't exist outside of the story after all) , that's an understandable reaction. MMO rules are generally simplified by taking into account the players are limited in their options. A tabletop game that tried to do that wouldn't be much fun (I've played in games GMed like that at conventions ). That said the OSO system in the story doesn't seem to place many of those limits on players which is one of the reasons it would be hard to program in real life. Well, I know a lot on what you can pull in a game. In that light, just as you couldn't pull OSO into a real MMO, so too is my creation designed to be impossible to turn into either an MMO, or make a stand alone "RPG-like-MMO" (see dot hack as a game). The degree of flexibility is actually what is slowing things down the most, as this is having a lot of impact on formulas that I want to make sure fit the designed inspiration of flexibility without breaking balance, or over complicating calculations. The degree of responsiveness to player actions could only be achieved by a human GM/DM, as the degree of AI represented could only be classified otherwise as a work of fiction. The impossibly smart AI as shown in OSO is one of the features that were not just sustained but actually focal to the concept of EOO (in fact, the impossibly smart AI in OSO is not even as much of a focus as it is in EOO). There is even a small section of the manual devoted to the impossible fictions of the system to always keep in mind (such as such AI). However, this doesn't seem to stop people from disliking it because it looks MMO-ish. I mean, my group of contacts don't even really include people who like similar stories such as Sword Art Online, Dot Hack, Log Horizon, Yureka, ect. I've been solo in that regards. Technically, I think part of the issue is that there is that notable lack of limits for devoted sections of system content, for a group of contacts who find working under limitations compelling (pick from list of choices, instead of invent your own). I really lack the proper target audience.. But I'm not sure the target audience even exists. Possibly the best reason for the slowdown on development. I hope you can get your RPG up and running, because it sounds like you went to some trouble to make it worth playing. "That's right. Even though Yun-san is matching his level with ours, you have many Arts you can use, you also have to take that into account." Yun-chan's eyes sparkling over cursed equipment... I WANT TO SEE. Can't Yun just use her Engraving Sense to just redesign the way it looks? I seem to recall something along the lines of being able to customize the appearance to some extent? Yes, that's part of the reason why Yun wanted the accessories from the summer event...for references for when s/he's making accessories. It seems like s/he wants it for both reasons here, though. S/he both wants to wear it (though maybe not all the time), and to potentially use it for design inspiration. Pretty sure all the monsters in them WERE, though. They might actually only be open during the event as well, though. It's hard to say since it's the first time we've seen or heard of someone entering them. Oh that's certainly possible, especially since it DID have unique rats (the bone rats and stuff like that). However, the only way we'd know that for sure is for them to actually MENTION it, heh. It could go either way, sadly. thanks your awesomemy addiction is fulfilled for a bit.